This project was set up by the McManus 168 Group (Supporters of The McManus) to mark the 150th anniversary of The McManus and to shed new light on Dundee’s history and heritage by discovering more about the men and women that gave so generously. George Armitstead gave £500 towards the building of The Albert Institute. A successful businessman with textile, shipping and trading interests in Dundee and London, who married into one of the most important local families. He went on to serve as MP for Dundee and be one of its greatest benefactors. Browse or Search our archive of 175 names or go straight in with a random search. From June 2017 to June 2018, the project brought together all the heritage groups in Dundee supported by an expert project planning team with academics, genealogists, archivists, the library service and Leisure and Culture Dundee, project managers and history enthusiasts. Branks were used throughout Europe from the 16th century right up to the 19th century as a form of punishment for minor crimes such as slander or even nagging. It is also thought suspected witches were forced to wear them. 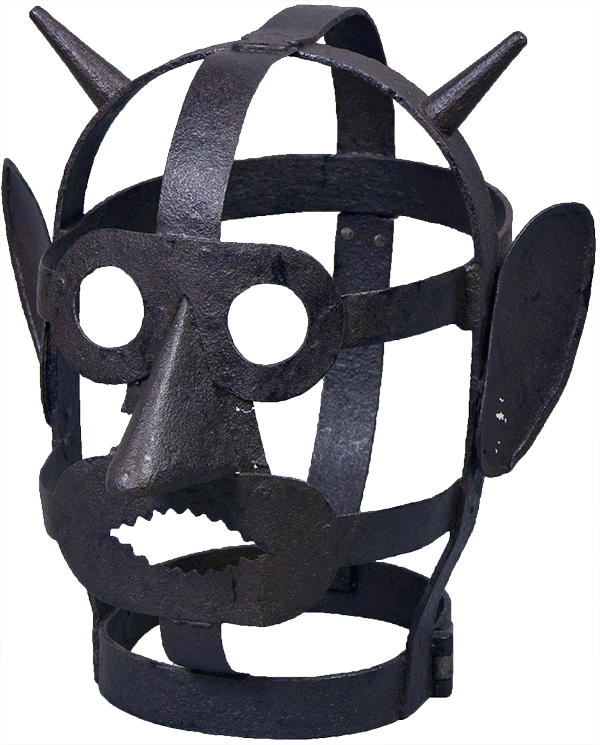 The aim was to publicly humiliate the wearer and sometimes to cause pain as some branks have parts that extended into the mouth. The Albert Institute was the centrepiece of an unprecedented programme of urban refurbishment. What lead to the establishment of one of Dundee's finest buildings? By February 1865 the number of subscribers to The Albert Institute was 327. So why did we initially think there were 168? The subscribers to the Albert Institute were a cross section of the (male) ‘middling sort’ and those above them in the economic hierarchy of the town. Read about the mix of men and a few women that helped establish The Albert Institute.